The Gabarron Foundation is welcoming international artists and designers to submit works for an international public sculpture competition for the future Parque de Levante in the city of Murcia, Spain. When finished, Parque de Levante will be the largest outdoor sculpture parc in Spain and one of the largest of Europe. In addition to being designed, by architects John Keenen and Terence Riley from K/R Architects, to specifically incorporate sculpture and environmental artworks of different sizes and mediums into a sustainable landscape, a new museum dedicated to art and the environment is also planned to be built in the park. 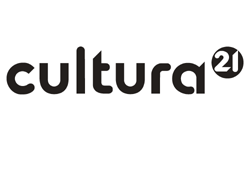 There are no specific limits to the themes of the artists, but works relating to the parks mission of Hortus Cultura – the artistic landscape – will be taken into special consideration by the jury. Of all submitted proposals, the fifty best will be chosen as honorable mentions, in which case each artist will receive an accredited honorary certificate. Their works will be included in exhibitions in Spain and the United States and published in an exhibition catalog.